As a healthcare provider, you’ve followed your passion to help others, solve problems, improve care and change lives. If you serve as a locum tenens professional, you’re helping fill a critical need across the country—giving healthcare teams support and relief when and where they need it most, and creating meaningful connections with patients along the way. Thank you for choosing this career, for your commitment to your practice and for the positive impact you make! Without locum tenens PAs like you, staffing companies like VISTA couldn’t exist. We’re honored to connect thousands of locum tenens PAs with assignments every year, and are inspired by the stories we gather from locum tenens PAs making a difference. And lastly, we’re proud of the work we do to find matches between quality healthcare organizations and locum tenens PAs. It’s our job to give hospitals, clinics, labs and other facilities the tools they need to care for communities—and help you reap the rewards of satisfying, flexible locum tenens work. From everyone at VISTA to all the PAs across the country, THANK YOU. 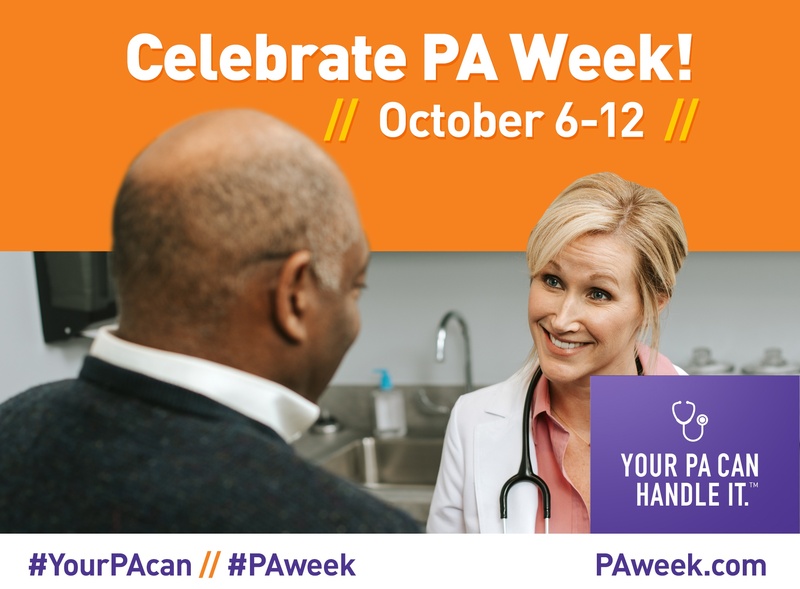 Happy National PA Week!